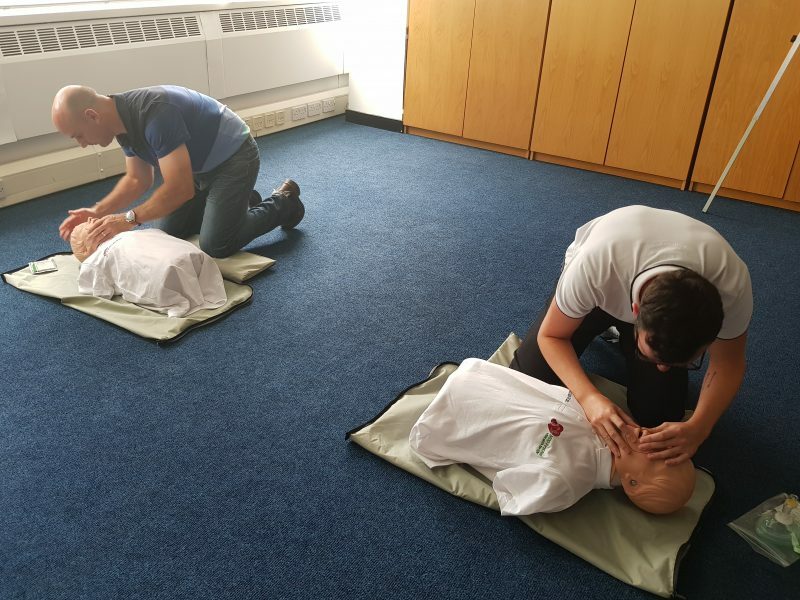 Thanks to our recent training day with MDD First Aid, every single member of staff at S2F is First Aid certified! 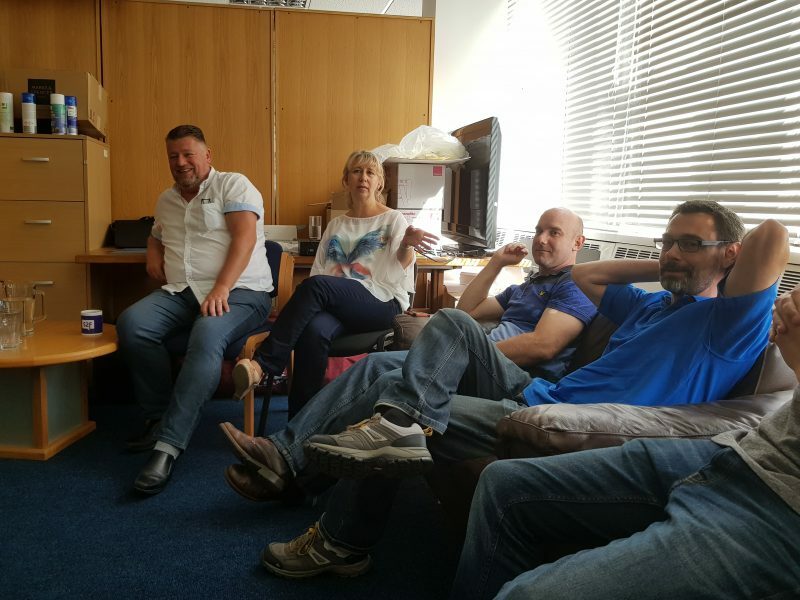 Each employee made space in their busy schedules to participate in a full day of expert first aid instruction and practice. The idea for this day came because of our close connection with the charity Freddie’s Wish, and the tragedy that led to its creation. Our Director, Steve Jolliffe, is the grandfather of Freddie, who passed away after a car accident. 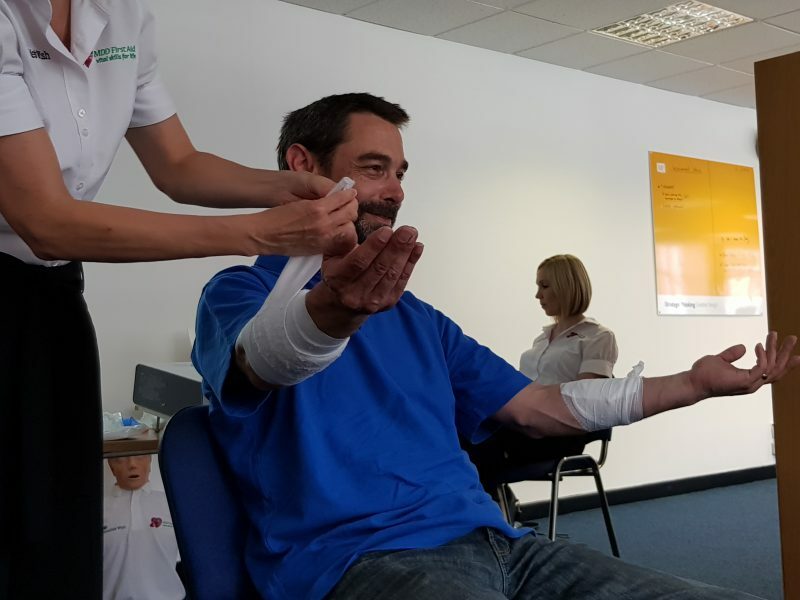 Freddie was granted some small but precious time because of the first aid that he received at the scene, so we know all too well of the huge difference that can come from being prepared. 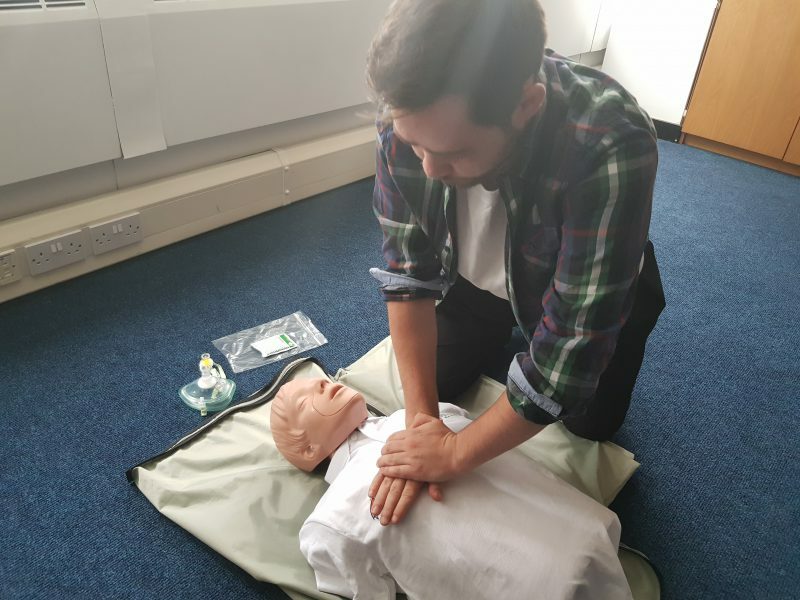 Below, we’ve put together a few examples of some of the things we learned – but note that this is not in any way equivalent to getting trained in First Aid by the professionals. We strongly encourage you to do just that and book a day with MDD! Before attending to a collapsed person, you need to make sure that you’re aware of your surroundings. It can be easy to put the blinkers on in an emergency situation, but your First Aid isn’t going to be any good if you get hurt before you can give it. Quite the opposite – you’re giving the emergency services another person to deal with, and further endangering the person you were trying to help in the first place. The line between being the giver of First Aid and being sued is as simple as one factor – whether the person wants your help or not. You might think it to be a given in an emergency situation, but the person’s wishes are important to consider, for legal reasons as well as their human rights. There are important exceptions: first, if you feel that emergency services are required, that’s quite literally your call. Second, if the person at risk has lost consciousness, consent is implied; you can assist without repercussions. 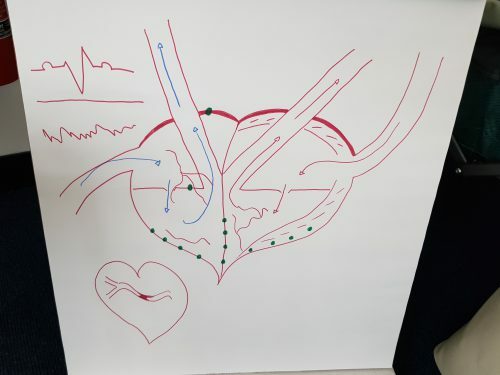 Without getting into the technicalities, a heart attack and a cardiac arrest are not synonymous – regardless of what you may have picked up from Holby City. A heart attack is, simply speaking, a blockage issue where an artery in your heart gets clogged. Heart attack victims will likely be conscious, do call emergency services and keep them calm. A cardiac arrest, on the other hand, is a problem with your heart’s naturally occurring electrical pulse. 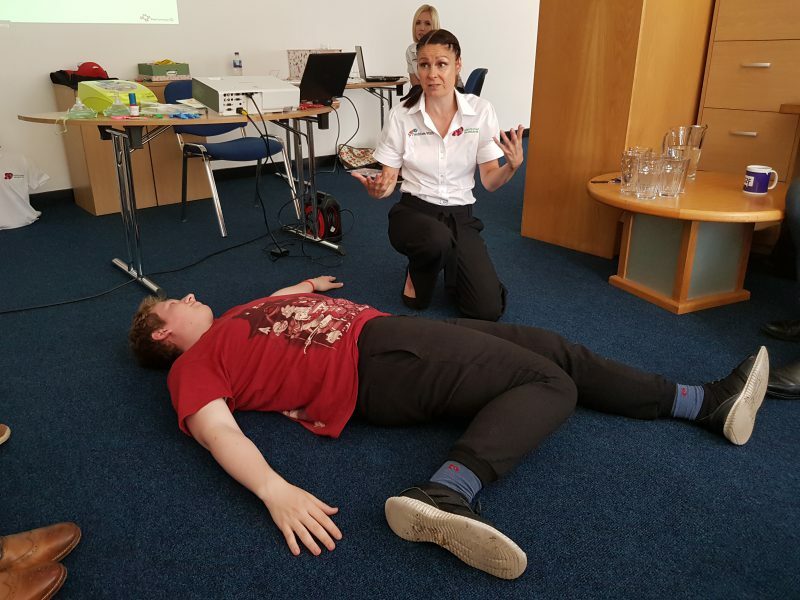 A cardiac arrest victim will be unconscious, and CPR along with emergency services will be required. Today’s phones are actually equipped with a number of features in case of emergencies and if you’re anything like us, you were probably unaware of them. For instance, if you need to get a hold of an ambulance, 999 is not the most ideal number to call. 112 will get you straight to medical services (instead of having fire and police services as options) and will use your mobile’s geolocation feature to find your position. In situations where giving an address is difficult or impossible, the usefulness of this is obvious. For iPhone users, you can get through to emergency services quickly by clicking your lock button five times. No need to unlock the phone. Android users can also make emergency calls, but the method is not quite as universal. It’s best to familiarise yourself with your own phone’s emergency functionality. Your phone will also likely have a way to easily call emergency contacts or access crucial personal medical information. Look up what options are available to you. You may be familiar with those adverts that advise you to apply chest compressions to the beat of “Staying Alive”… but that’s no longer the suggested song. A faster pace has better results. In fact the 120 beats per minute of The Proclaimers’ I’m Gonna Be, better known as “500 miles” is just the right tempo. You may be going faster, but stay in control. Compare these two examples for reference! We’ll finish on this bombshell: symptoms of illness present themselves more severely in men than they do in women. If a man and a woman are equally sick, the man will likely appear to be sicker – not for any psychological reason, either. Heart attacks in women are harder to detect at an early stage for this reason. And yes, this extends to colds and cases of flu – so now you know that Man Flu is more than a figure of speech. 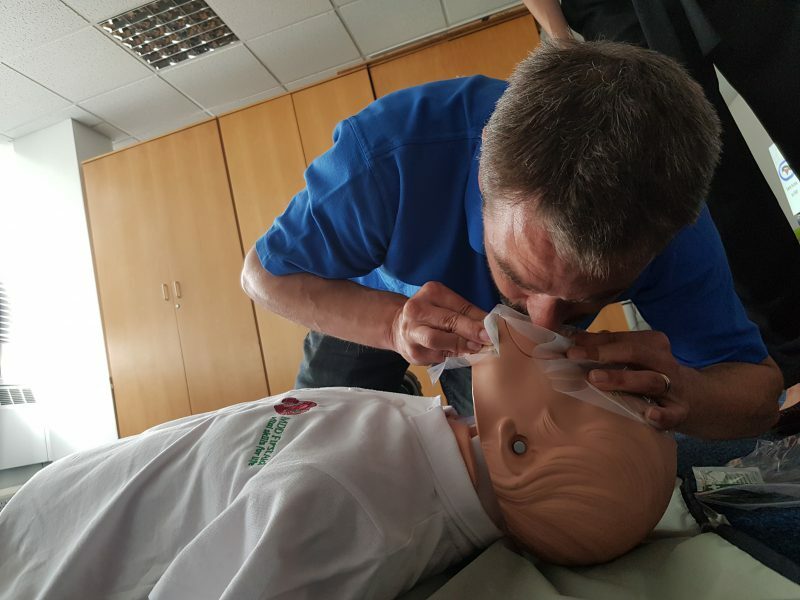 We hope you learned something valuable from this article; if nothing else, you can be rest assured that should you come in to see us, you’ll be well and truly covered if you choke on a biscuit. You can find MDD First Aid here, and Freddie’s Wish here. I would like to opt-in to receive updates from S2F Marketing via email. Let us help your company grow, contact us today to discuss your marketing needs. Sign up today and never miss out. We offer informative content like this, marketing round-ups and exclusive material via email.